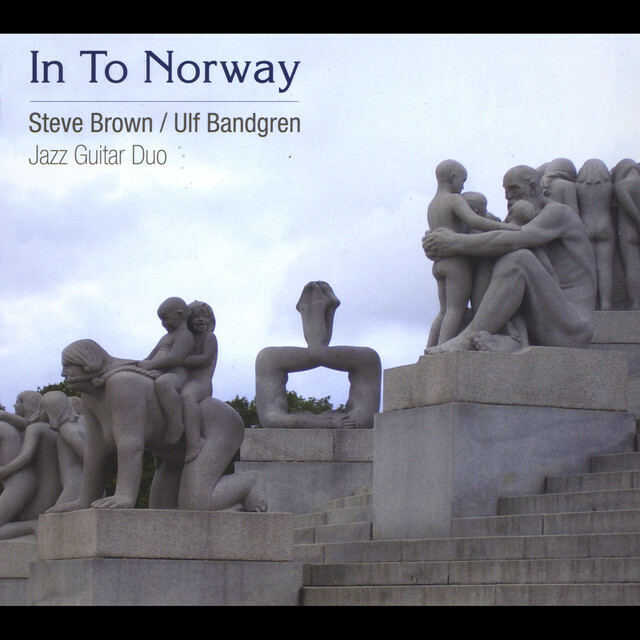 This CD is the third in a series of Jazz Guitar Duo recordings that I have made on the Brown Cats Productions label. The first was with Portland, Oregon based John Stowell and is called “Cross Roads” (BC9503). The second was with my Argentinian friend now living in Madrid, Spain, Gullermo Bazzola and is called “Una Pequena Alegria” (BC 9508). Even though the format for all three CDs involves just two guitars, they are never the less quite different, due in many ways to the individuality of each player and the repertoire chosen to record. All the CDs were recorded “live” in the studio and did not include overdubs. We recorded as though we were playing a concert. I first met Ulf Bandgren in Ithaca, New York, when he accompanied Hilde Brekke on one of her many visits from The University of Gothenburg to do advanced study in nutrition at Cornell University. During that visit and subsequent others, Ulf and I performed together as a duo and with various other sized groups. He invited me to Gothenburg where he teaches jazz guitar, to play concerts, even organizing a big band concert of my music with the students from the University. We also did a little tour of six concerts and traveled “into Norway” for a short visit.